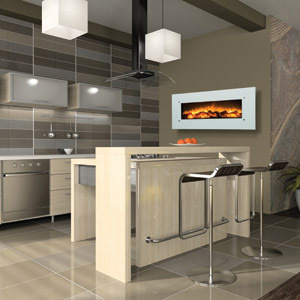 For over three decades Amantii has been providing customers with unparalleled service and support. 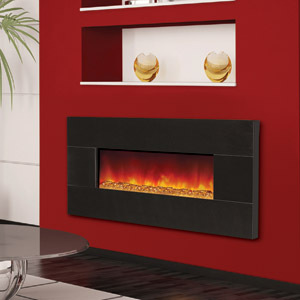 Amantii brings experience, reliability and accountability to the electric fireplace and heating industry. As a global company, Amantii has a proven record of sales in the USA and in Canada and we continue to source cutting edge electric fireplace products from Europe, Asia, Australia, New Zealand and North America. Amantii is pleased to introduce our new line of hand-poured concrete surrounds. Our surrounds are beautiful to look at, transforming any space and providing years of enjoyment. Part of the unique quality of concrete is that textures and irregularities are part of its charm. As such it is not uncommon to find slight surface irregularities and color variations from piece to piece. Each piece is cast by hand and the finest color pigments have been used for the optimal in color consistency. The Artisan surrounds are available in two styles; the Moderno and the Classico, and two colors; Venetian Grey and Tuscan Cream. 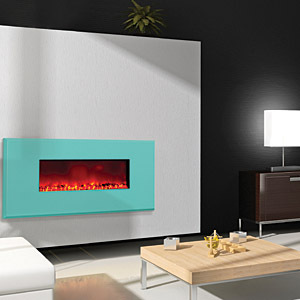 Choose a built in or wall mount fireplace then choose from our large selections of colored covers and glass to create the ideal center piece for your designer room. 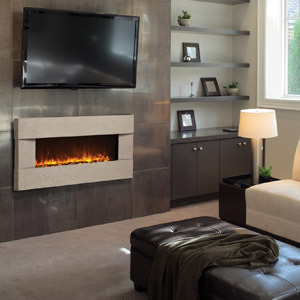 Built-in electric fireplaces are a perfect substitute to existing gas and woodburning fireplaces. Since they don’t require a vent, they can be easily installed anywhere in your home. If you have limited space, then the BLT-IN 38” is your answer. This easy-to-install unit adds a clean, fresh look to any room in your home. The crystal black glass face comes standard, or create your own style with optional real stone upgrades. The BLT-IN-38 comes with three colors of fire glass media, see fire glass colors on left side. Choose from our vertical or horizonal collection, add a real stone face upgrade, pick a realistic looking log or a coloured glass interior and give your room that wow factor!